Run the way you were meant to. The Nike® Free collection is designed to promote your natural gait cycle. This breakthrough footwear line from Nike® is engineered with sock-like uppers and ultra-flexible outsoles—so you can move naturally as you stride. 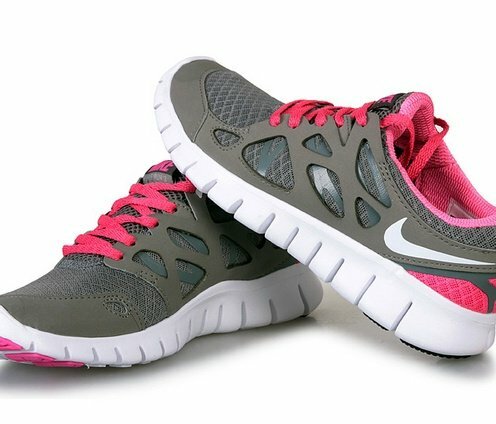 Sport Nike® Frees for exceptional flexibility, breathability and comfort on every step. Which Nike® Free is right for you? The lower the number, the closer your foot is to the ground and the more flexible your outsole is. Go for the everyday natural stride of the Nike® Free 5.0 or the air-light feel of the Nike® Free 3.0. Nike® Free running shoes are specially constructed to deliver your most natural foot strike yet. Some Nike® Frees are outfitted with the brand’s signature Flyknit upper, which wraps around the foot for a supportive, locked-in fit. New hexagonal carbon outsoles support the natural mechanics of your foot.